Prior to getting married, the property owned by you is regarded by the court as your “separate property”. This dignified that such a property is owned only by you and not by your spouse. For example, if you have $15,000 in your bank account and own a property while getting married, you are bringing your separate property in the marriage. Such a property remains your separate property if it is not “commingled” with your spouse’s separate property brought into your married life. For instance, in case you get married and both of you stay in the same house that is owned by you prior to the marriage. However, if the incomes of both you and your spouse are being contributed toward paying the mortgage, such a house is automatically counted as a marital property. In other words, it becomes a property your spouse may be interested in,provided both of you decide to divorce in the future. The job of splitting property as well as other marital assets could be a tough one and full of conflicts especially for those couples where there has been a commingling of funds in the course of the marriage. 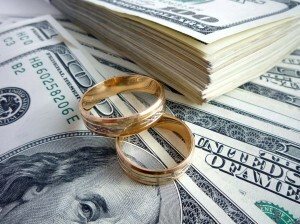 While negotiations continue for divorce settlement, determining which property should go to whom while depend on the degree of the occurrence of commingling of funds during that marriage as well as the complexity of transactions like home or automobile purchases, a big and crucial role is played by commingled funds during a divorce. In case you fail to keep a thorough accounting of what is being done with your assets and properties during your marriage, it is not easy to prove that the purchase of that property was not done with commingled funds. The following are some of the tips for all those spouses who do not want to commingle during their marriage. It makes sense to have your prenuptial agreement in place, which will clearly state, which properties will be counted as marital properties and which will be not in the event of a divorce. You should not use your separate property for paying off any marital debt. For instance, if you receive a hefty amount of money from your parents as a gift, the money should be used towards paying off a credit card debt or your home debt. You need to note that when funds benefit a marriage, they become marital property. Funds should only be deposited in a joint account when you want to count it as marital funds. When you deposit funds in your separate and individual bank account, it is regarded as your separate property. Posted on Tuesday, September 19th, 2017. 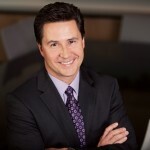 Filed under California divorce, California Family Law, Division of Property, Divorce & Division of Property, Divorce & Financial Disclosures, Divorce and Finances, Frequently asked questions, Orange County divorce. Divorcing parties have a natural tendency to conceal their material assets from their spouse and understate their income. Lawyers across California have faced this problem for many years now. However, disclosure of material assets, facts, income and information in a divorce case has great significance in financial settlements between the divorcing parties. 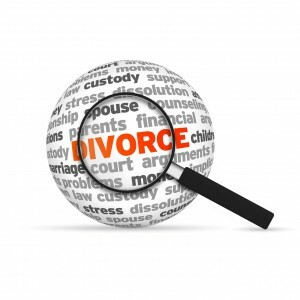 The divorce law in California makes it mandatory for both parties. To preserve and protect the community assets and liabilities that are existing at the date of separation to avoid squandering of the assets before actual distribution. To ensure that sufficient and fair spousal and child support is provided. To achieve a proper division of community assets and liabilities on the legal separation of parties. In order to achieve the aforementioned objectives, the family code under California divorce law requires accurate and full disclosure of all assets and liabilities in which the separating parties have interest, regardless of the property being characterized as either separate or community. The separating parties are also required to make a full disclosure of all income and expenses. The divorcing parties also have a persisting duty to update and augment the disclosures. The purpose of this is to ensure that each party will make the final settlement with sufficient and full knowledge of all relevant facts underlying the divorce case. The separating parties make the disclosure by serving each other with a preliminary declaration and final declaration of disclosure. The preliminary declaration should be served within 60 days of serving the divorce or separation petition. The declaration is not filed with the court but served only to each other. The declaration lays down the identity of all assets and liabilities, the share of the declaring person(s) in the asset or liability and the characterization of such assets and liabilities. The final declaration of disclosure should be served at least 45 days before the first trial date. The final declaration includes all material facts and information regarding the characterization, valuation, amount, income and expenses of each party entering into the divorce case. Failure to comply with the disclosure requirements would be considered a breach of fiduciary obligation of the party. The court may sanction the party committing the breach by awarding sanctions and attorney’s fees to the other spouse as observed by section 271 under the California Family Code. Posted on Wednesday, June 14th, 2017. 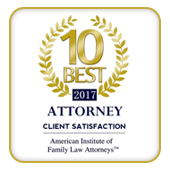 Filed under California divorce, California Family Law, Divorce, Divorce & Debts, Divorce & Division of Property, Divorce & Financial Disclosures, Divorce and Finances, Family Law, Frequently asked questions.